May 14, 2018 Robert W.
Low cost business signs are every Las Vegas businesses dream. With expenses high, profits low, its no wonder every small business in Las Vegas wants to save money. Low cost business signs are available inexpensively to help you get more customers and make more profit. In these tough economic times, businesses all need more business to make ends meet. Low cost business signs come in many different forms. 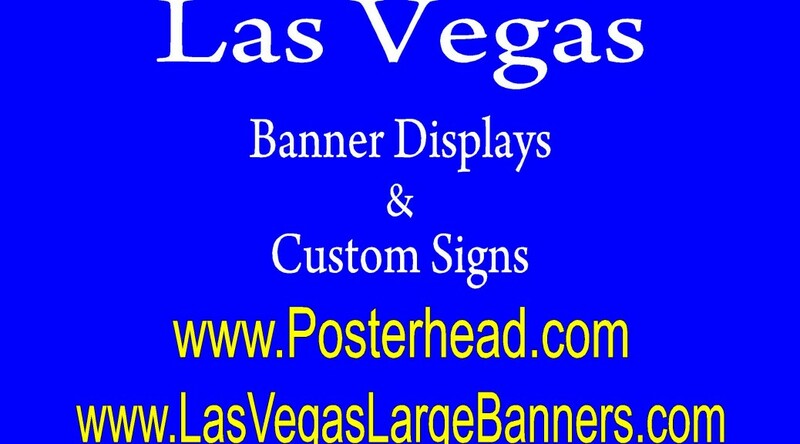 Vinyl banners are perhaps the cheapest type of business sign and they are custom printed with your unique message. may stores use these vinyl banners to advertise sales and merchandise specials and then simply hang these banners on their buildings so that they can be seen by all the vehicles passing by their location. With the increase in population in the Las Vegas area, there are many more cars on the streets that can see your banner. In fact, many business locations adjacent to the freeways have taken advantage of the increased traffic and place large banners on the rear of their buildings to get attention of all the passing motorists on the freeways. Low cost business signs also include the very popular window graphics like vinyl lettering on windows and window perf. Window perf is the window covering that allows you to print on a see through material so that the customer on the outside only sees your advertisement and the people on the inside get to see out. It also acts as a window shade during the hot summer months and keeps the heat from coming inside. In addition, low cost business signs include coroplast signs that can be placed on fences, grass areas and other places that can withstand the weather elements for months. Low cost business signs are a great solution to meet your advertising needs in a bad economic environment.